cases in a local outbreak of lead poisoning. Spices and herbal remedies may be an overlooked source of childhood lead poisoning, according to a report published last week by the United Centers for Disease Control and Prevention (CDC). The report covered a recent outbreak of pediatric lead poisoning cases. Instead of contaminated water from old pipes or lead dust from peeling paint, the investigators found that turmeric, saffron, and chili powder were the ones to blame. The report comes from the North Carolina Lead Poisoning Prevention Program, which investigated an outbreak of childhood lead poisoning in a local county. Nationally, the number of childhood lead poisoning cases has been decreasing, but this county reported 27 cases in 2013 and then 44 cases in 2017. The cases concerned health officials as many of the children lived in newer housing, which is typically devoid of the obvious lead hazards seen in old homes. Investigations were conducted in 983 homes in North Carolina over the span of event years. The final report includes data from 61 children and 59 homes. Investigators found that more than half of these homes had no evidence of lead in paint, dust, faucets, or even furniture finish. In seven homes, the only identifiable lead hazard were spices and herbal remedies. Over 95 percent of the spices consumed in the United States are imported. There is no national limit for heavy metal contamination in spices; as a result, investigators found lead in 63 percent of samples collected from the homes in the report. Health officials suspect that the spices are contaminated right from growth. 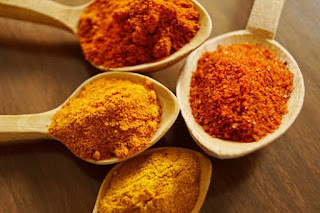 According to the CDC, spices are often grown in countries with fewer environmental regulations on leaded gasoline, mining, and battery manufacturing. The lead from these activities can leech into the soil and water used to grow the spices. Although the investigation cannot definitively say there is lead in everyone's spice rack, the CDC still calls for a maximum lead limit in spices to protect children. Recently, the Food and Drug Administration (FDA) set limits on lead in food that children are likely to consume such as juice; however, spices are a gray area. According to data from the United States Department of Agriculture, the average American child does not consume very many spices. However, the research from this report indicates that the old findings may not apply to children from cultures where spices are used more often in cooking. In addition to better regulation, the researchers recommend for all health officials to be educated on potential lead hazards in food items in order to better protect their community. To learn more about the report, visit the CDC website. To learn more about lead poisoning prevention and how to get involved in this important career, visit Zack Academy.